Godzilla is running loose again and its "Dr. Frankenstein" is at it again. The Japanese Nissan GT-R is already considered as one of the most menacing beasts on the streets, but when you add the aftermarket know-how of Switzer, then special things happen. One of the GT-Rs that has gone the way of Switzer’s magical tuning process is this monster called the "Red Katana," a model based on the first R1KX model Switzer GTRs to hit the drag strip. The fully-customized GT-R has been equipped with a twin-bill of bone-rattling performance and a plush exterior and interior set-up with the latter including high-quality carbon fiber and Alcantara. In addition, the car also features a high-end audio system that will shake the roads. The real highlight is the Switzer’s R1KX engine set-up that takes the mighty Red Katana’s performance capabilities into the realm of the unfathomable. Yep, all 1,500 horsepower’s worth of it. In case you need any more convincing, this red rocket recently hit Summit Motorsports Park in Norwalk, Ohio last weekend and blazed the strip with a quarter-mile time of just 8.97 seconds at a speed of over 163 miles per hour. Switzer Performance has unveiled quite a few tuning packages for the Nissan GT-R, and it seems they won’t be slowing down anytime soon now that Nissan has inadvertently announced another generation for the sports car. Their latest package is called the P600 GTR PKG and delivers an astounding 600 HP, up from the standard 545 HP. In order to obtain this amazing power increase, the tuner has added Switzer-specific high-flow filters, Switzer’s own high-performance ECU software, and the free-flowing SS90 exhaust that not only helps increase power, but also improves the 3.8L twin-turbo V6 engine’s sound. This allows the P600 GTR to get from 0-60 mph in just 2.6 seconds (one second faster than the standard model) and make it from 60-130 mph 2.5 seconds quicker than the stock car. Switzer’s main focus was the power increase, so no major aesthetic changes were made to the vehicle. The only change they made was the addition of a new set of new Switzer Signature series lightweight forged aluminum wheels with Michelin Pilot Supersports tires. The absence of exterior and interior modifications doesn’t affect the price, however. The P600 PKG by Switzer will set Nissan GTR owners back $12,990. On the surface, Switzer performance’s Porsche 997 F900 is the kind of car that petron-heads and environmentalists will both fawn over; it’s a low-emission, 900 horsepower, flex-fuel monster of a Porsche that epitomizes the kind of esteem the Ohio-based tuner has earned in its years in the business. But the 997 F900 wouldn’t have been built were it not for another Switzer-tuned Porsche that ended up becoming the precursor for the 997 F900. This car was the Switzer Sledgehammer, a 1,000-horsepower, 997 Turbo that made its legend for nine-second passes and standing mile top speeds of close to 200 mph. Eventually, the Sledgehammer gave way to a host of other specially-tuned Porsches, culminating in the 997 F900. This 900-horsepower beast was born from the mind of one of Switzer’s clients from Canada, who, incidentally, already had a Sledgehammer 997 in his hands. Maybe he wanted something different, or maybe he just woke up one day with a renewed sense of responsibility to Mother Nature, but this Canadian client had an idea - or maybe a new fascination - that he wanted Switzer to build. Thus, the Porsche 997 F900 Turbo was born. Find out more about the Porsche 997 F900 Turbo after the jump. A lot of people can become too solely infatuated with a car that produces 1,000 horsepower. But through all of this, it’s also important to understand that if a car packs that much power under its hood, certain compromises have to be made to ensure that it can deliver the kind of power it’s been given. That’s why it’s no surprise that a lot of these 1,000-horsepower super cars are best left to be ridden on a race track than on an actual road. Noted Nissan GT-R tuner Switzer Performance already has one of these models in its GT-R line-up - the R1K package - but now, the Oberlin, Ohio-based company has prepared a new program for Godzilla that comes packed with 1,000 ponies. It is also capable of being used as an everyday car. That’s right, you can have your cake and eat it too. The vehicle is called the Ultimate Street Edition, and it’s without question, one of the meanest and road-friendly, 1,000-horsepower GT-R’s you can get. In order to achieve that output while retaining its road capabilities, Switzer fitted the GT-R with a plethora of modifications, none more so than to the Japanese sports car’s VR38DETT 3.8-liter V6 engine, which is now capable of producing 1,000 horsepower on premium pump-gas. To gain all that horsepower, Switzer went to work on fitting the GT-R with Switzer-specific pistons, pins, rings, connecting rods, and specially-ground camshafts. 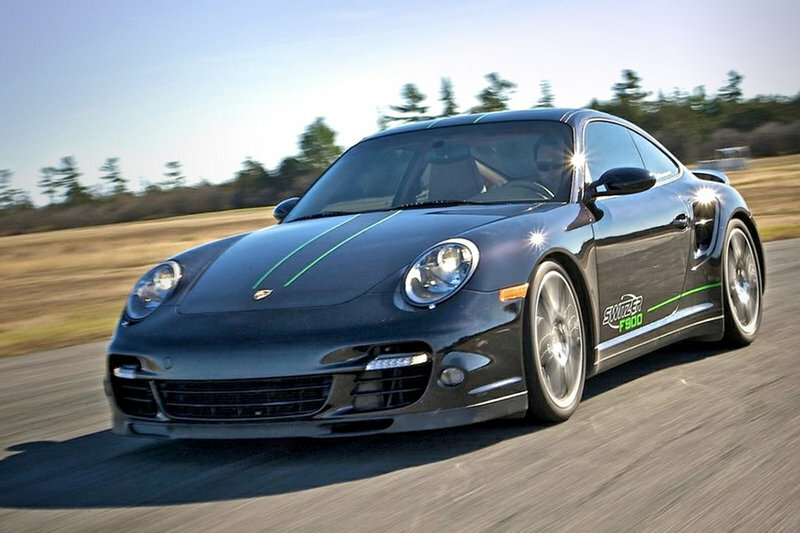 The tuning firm also reprogrammed the ECU and added a stainless-steel performance exhaust, front mounted intercoolers, an upgraded cooling package, and a pair of liquid-cooled turbochargers that come with billet compressor wheels. ’Nano carbon’ brake pads are also being offered, as are Switzer’s lowering springs, a modified version of the car’s launch control set-up and, last but not least, a new set of lightweight alloy wheels. "For people who want a 1000+ horsepower car that they can drive comfortably every day, to the track or the office or the grocery store, on the highway or in bumper-to-bumper traffic, we’ve built this car," says Tym Switzer, owner and founder of Switzer. UPDATE 09/11/12: DRIVE’s Matt Farah knows a thing or two fast cars so when he was given an opportunity to get behind the wheel of Switzer’s Nissan GT-R Ultimate Street Edition, he wasted little time jumping at the opportunity. Check out what Farah has to say about the 1,000-horsepower Godzilla after the jump! There’s been an inordinate number of tuning packages for the Nissan GT-R, but one of the more memorable modifications came at the hands of Ohio-based tuner, Switzer Performance, about two years ago. The tuner put all of the cornfields in Ohio to good use by converting the GT-R to run on E85 fuel, leaving the twin-turbocharged V6 engine to deliver a total of 834 HP. Recently, Drive’s Matt Farah came across the modified GT-R at a runway shootout and asked the driver if he could take a spin. The driver had no problem with that and so Matt Farah got behind the wheel and brought a camera crew with him. 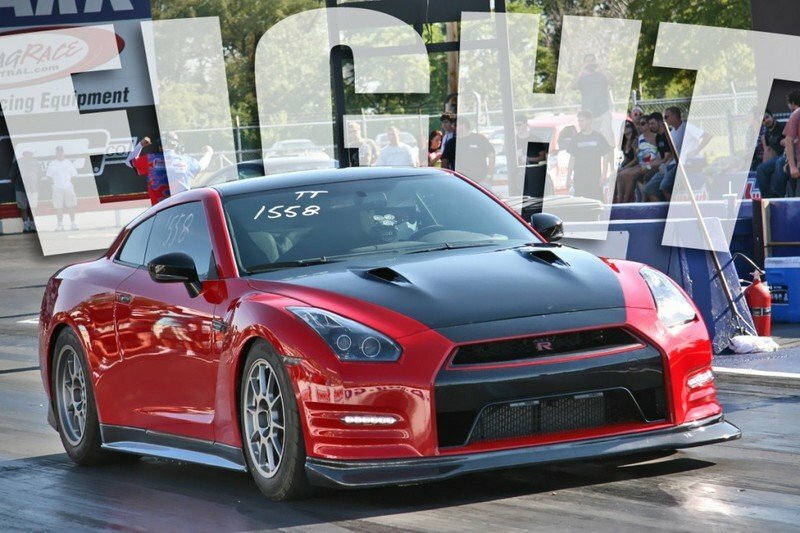 According to Farah, the Switzer GT-R is fastest street car he’s ever driven. Most likely that’s because the car runs the quarter mile in 9.7 seconds with an exit speed of 147mph. Check out the full details of the tuning package by going to our review of the Nissan GT-R E900 by Switzer. Then, let us know what you think of it in the comments section below! Switzer Performance has unveiled a new tuning package for the Nissan GT-R sports car. Called the E900 (Ethanol fuel, 900 hp), the new package was developed in cooperation with Dodson Motorsports in New Zealand and develops a total of 900 HP (almost double than a standard GT-R that develops 473 HP). The biggest difference in this GT-R is the fuel. Switzer Performance was able to tune this ride all while running on E85 fuel. "In a way, the solution was all around us," offers Switzer, whose shop is located deep in Ohio’s farm country, surrounded – literally! – by cornfields. "E85 isn’t without its trade-offs. We had to modify the fuel system to handle the fuel and significantly increase the size of the injectors, also, but in the end we had a fuel that gave us everything we needed to crank up the boost on this car and deliver over 900 hp." 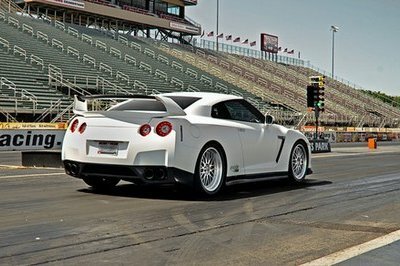 The E85 delivered other benefits as well: it is significantly "greener" than the pump-gas and race-gas versions of the GTR. "With most high-horsepower cars, you can barely breathe after just a few dyno runs. With the E85, we were able to run pull after pull to dial in the tune without feeling any effects of the usual emissions. It’s hardly scientific, but there was a noticeable improvement in the air quality in the shop compared to race gas." In addition to the change in fuel, Switzer Performance has also provided the same enhancements as with the Nissan GT-R P800 package including an Amuse carbon fiber aero package, 3-way adjustable suspension, and 20-inch BBS wheels. All told, the package goes for $39,990. 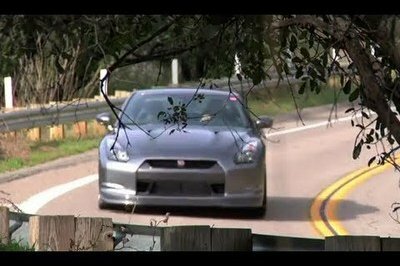 UPDATE 03/16/2012: Recently, Drive’s Matt Farah came across Switzer’s modified GT-R at a runway shootout and asked the driver if he could take a spin. The driver had no problem with that and so Matt Farah got behind the wheel and brought a camera crew with him. 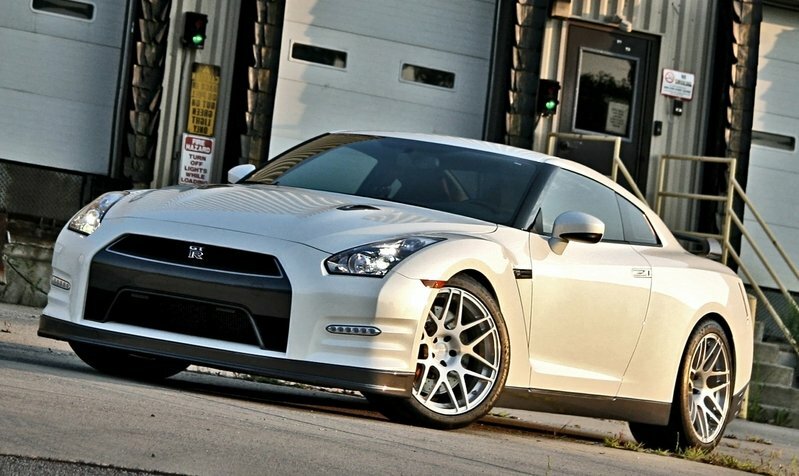 According to Farah, the Switzer GT-R is fastest street car he’s ever driven. Check out the video of his drive after the jump! Video and full list of additions after the jump.